Opening time:10:00～18:00. Sun. and holidays are closed. 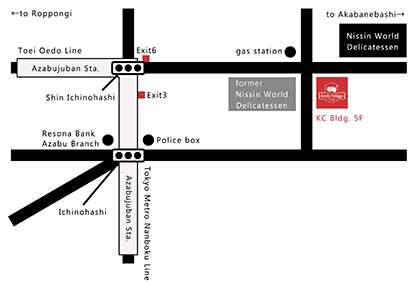 Smily Village is in the 5th floor of the blue building next to NISSIN. There is no the staff/guest parking lot. Please use a pay parking around Smily Village. We recommend to use Tax because it is often full especially on a rainy day.